SECOMX-945 - SLN Technologies Pvt Ltd. 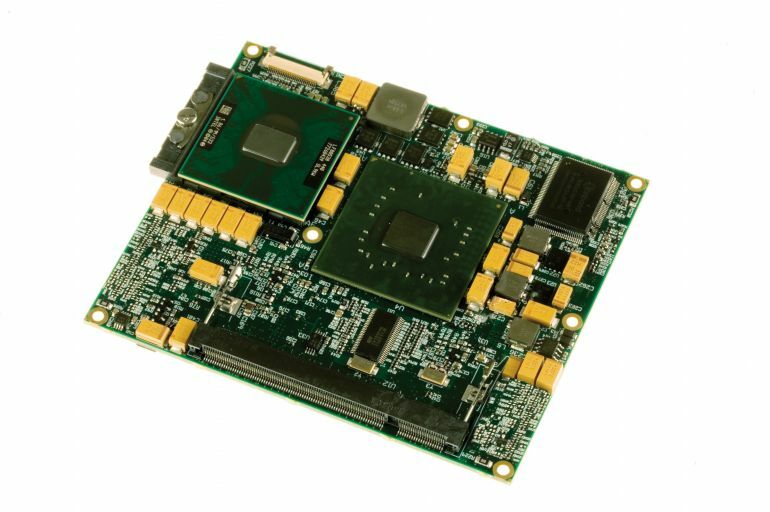 The new XTX™ form factor SECOMX-945/M72 CPU module combine the Intel® Pentium® M processor with the Intel® 945GME chipset and the graphic controller ATI Mobility™ Radeon™ E2400 GPU that assure high level performances fot those 3D and high resolution demanding applications. Furthermore the SECOMX-945/M72 features Audio, SATA (2x) and IDE Interfaces, Ethernet 10/100BaseT, 6x USB 2.0, keyboard/mouse PS/2, Real Time Clock and Watch Dog Timer. Thanks to the ATI™ GPU the module support Windows® Vista Aero Operating Systems. Conceived as expansion to the PC/104+ connector on which it links up to, the module allows the use of the Mini-PCI cards such as the Wi-Fi cards.